The County contracts with the Calaveras County Historical Society to oversee the day-to-day operation of the County Museum. 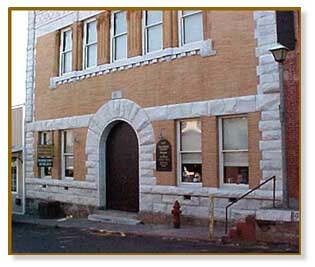 The museum is housed in the restored Calaveras County Courthouse at 30 North Main Street, San Andreas. Displays of archeological and historical significance are on display. The Calaveras County Historical Society, with assistance from the County the "Red Barn", located on Mtn Ranch Rd. at Government Center has been turned into a museum displaying historical agricultural artifacts and equipment. The "Red Barn Museum" is open to the public. Please call the Historical Society for hours of operation.